The Memorial Hermann Medical Group (MHMG) Copperfield provides highest-quality primary care for patients in west and northwest Houston. Our family medicine specialists focus on precise diagnosis and up-to-date treatment, but the heart of our practice is caring and empathetic relationships with patients ages 5 years and older. Adan Alvarez, M.D., graduated from Baylor College of Medicine and completed his residency at Halifax Center for Family and Sports Medicine in Daytona Beach, Florida. 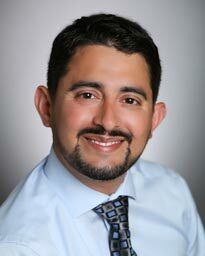 Fluent in Spanish, Dr. Alvarez treats a variety of illness including diabetes, hypertension, and acute care. He also sees patients for annual physicals and women’s health appointments. 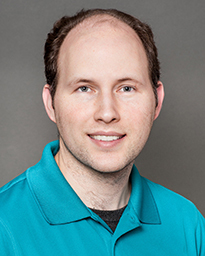 Dr. Mark Hand earned his medical degree from the University of North Texas Health Science Center at Fort Worth and completed his residency at the Methodist Health System in Dallas. He treats patients of all ages. His own history of juvenile diabetes has given him a special interest managing chronic conditions. His patient-centered approach is based on open communication and careful listening. 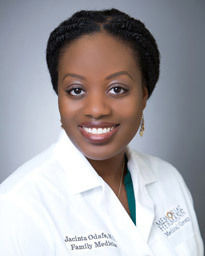 Dr. Jacinta Anyaoku (Odafe) earned her medical degree at Wright State University’s Boonshoft School of Medicine in Dayton, OH. She completed her internship and residency at Carolinas Medical Center in Charlotte, North Carolina. She sees patients of all ages with primary clinical interests in women's, pediatric and adolescent health, and preventive medicine. She shares a healthy relationship with all her patients and tries to bring a change in their lives. 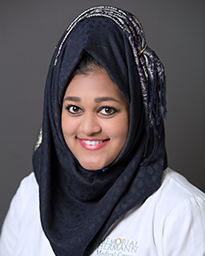 Dr. Anira Rashid received her doctorate of osteopathic medicine from Lake Erie College of Osteopathic Medicine in Erie, Pennsylvania. She went on to complete her family medicine residency at Memorial Family Medicine Residency Program in Sugar Land, Texas. Board certified in family medicine, Dr. Rashid treats patients of ages 5 and older. She provides annual physical exams and treats a variety of acute and chronic medical conditions such as cold and flu symptoms, diabetes, hypertension and high cholesterol. Being an advocate for women’s health, Dr. Rashid also performs pap tests and well-woman exams. The Memorial Hermann Medical Group Copperfield is conveniently located on Highway 6 between West Road and Point Northwest Blvd, near Easton Commons and just south of Highway 290 (Northwest Freeway). The Memorial Hermann Medical Group Copperfield is conveniently located on Highway 6 between West Road and Point Northwest Blvd, near Easton Commons and just south of Highway 290 (Northwest Freeway). Surface lot parking is available at the location.